Waterproof vs Water Resistant vs Water Repellent Jackets: What’s the Difference? When looking to purchase a new jacket, typically the most important thing to focus on is its water-resistance. With thousands of designs and types of jackets available online and in local stores, to say that it gets a bit confusing, is oversimplifying it. We have been there, so we completely understand. Whether you are an active person throughout the year, a competitive athlete or would just like a good jacket for those pesky days, the water column in a jacket is of key importance. 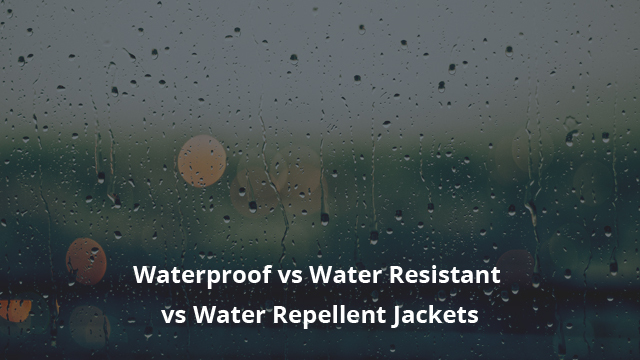 What we will be looking at today is the difference between the three most popular terms used for jackets: Water-resistant vs Waterproof vs Water-repellent. If you have come across other articles on this topic, you might be familiar with the Static-Column test. For those that have no idea what gibberish we are saying, it practically means that a measuring tube (column) is placed on top a fabric and it rests there (static). Now that we have the “scientific” terms out of the way, let’s get into how it is measured, because it is quite interesting. The tube is 1-inch in diameter and after placed on the fabric, water is poured through it continuously. The instant the fabric starts leaking, is when the level of water inside the column is marked. This determines the waterproof rating of a fabric. Usually the basic waterproof rating a jacket must have is 10.000mm, in order to be considered waterproof. If less than that, the jacket must come with a waterproof membrane to help prevent water getting through. A simple Google search would bring up numerous guides and “How to” tutorials, for picking that perfect jacket. However, water-resistance comes with certain other aspects, one of which is key in how the jacket will perform in the long run. We are talking about breathability. Breathability is a fabric’s ability to allow air flow, in order to prevent overheating and perspiration build-up. 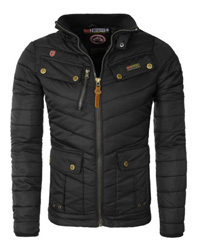 Not all jackets provide quality breathability and this might come down to its other weather-resistance features. Specifically water-resistance. Why does this matter and how come water-resistance and breathability are so related to each other? Well, there is a very simple explanation for that. A highly water-resistant jacket, which usually falls in the waterproof category, is typically made of denser fabric, which is less porous. Sometimes there are membranes and different fabric technologies in the outer shell, which, while doing a fantastic job against wind and rain, they isolate the jacket and block air flow. 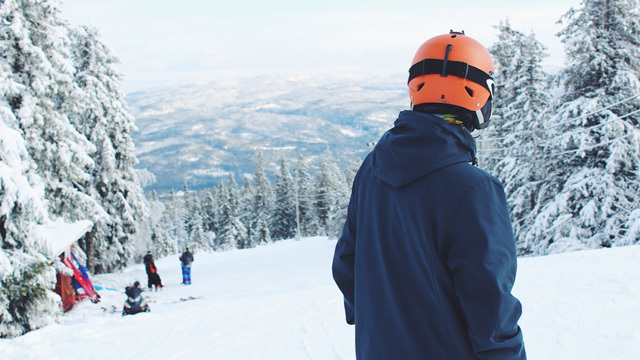 This is usually seen in some low-end ski and snowboarding jackets, which are required to be waterproof, but fail to be breathable. They skip on using high-tech membranes, in order to cut down price. As a general guide, the more water-resistant a jacket is, the less breathable it will be. Some might argue that is not always true. And we agree. However, a highly waterproof and also breathable jacket usually comes at a price. A very high price, that is. You may have come across certain terms such as “Sealed seams” or “Critically sealed seams”. While those who are unfamiliar with jacket features might overlook this part, we would highly advise to not do so. Stitched seams, which have no taping or sealing whatsoever, will allow water through like nobody’s business. Even if your jacket is rated “Waterproof”, unless the seams are fully seamed, you might be in for an unpleasant surprise. The two terms we mentioned previously differ from each other when it comes to placement. Critically sealed seams implies that only the upper part of the jacket has sealed seams. This leaves the rest of the body vulnerable to water. and the second is Welded seams, where there is no stitching. The latter means that the jacket is put together by sonic bonding or glue, which makes this type of seam far more resistant. Well, if you live in generally dry areas, a critically seam sealed jacket will do just fine. 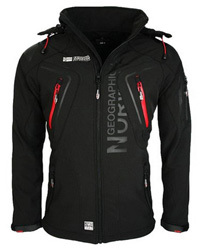 Of course, if you live in rainy areas or where snowing is to be expected, then opt for a fully seam sealed jacket. This is why it is best to do your research beforehand and to take into consideration things such as area, weather and the type of jacket you want. By that we mean whether you live in a cold or hot area, with rainy or dry weather and whether you are looking for a sports jacket, ski jacket, light jacket or a heavy winter jacket. All “look out for” things are out of the way, so let’s get into what we are here for. Let’s start with the one that everyone aims for, waterproof jackets. 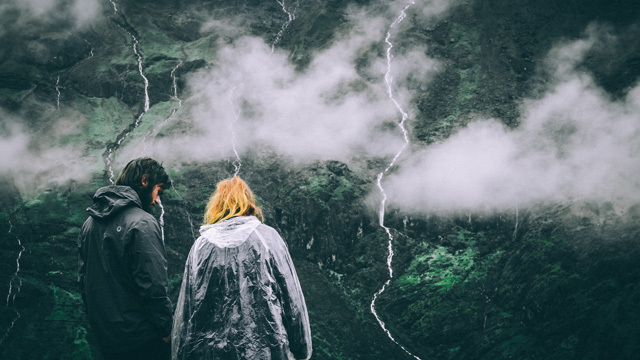 Waterproof jackets are made of highly water-resistant fabric, which then has been treated in order to further prevent water from getting through. This “treatment” is usually different fabric technologies that provide complete resistance against water, wind and are designed to be breathable at the same time. 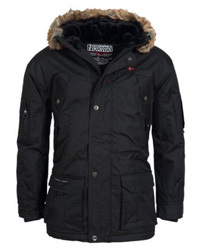 Hardshell jackets and Ski jackets are examples of waterproof jackets. When a jacket’s label has “Waterproof” written on, it implies that despite the weather, despite how much it is pouring or snowing, dampness will not get through the outer membrane. You can expect to remain dry the whole time. However, there are some things to keep in mind. No, in this case is not breathability, we will get to it in a second, but it is water column and seams. You know what seams to look for and how the water column works, so we just wanted to remind you of these two very important things. Look for them in the label or in the jacket description online. Why? Because despite the label saying that a jacket is waterproof, if the seams are unsealed, the water column too low, no membrane or fabric technology in sight, then you might as well save yourself some money and go for the most generic jacket you can find. Waterproof jackets are usually necessary for very rainy areas and where it snows regularly during winter. However, if you live in a mildly-tempered weather, a fully waterproof jacket might not only be unnecessary, but depending on its respiratory activity, it could cause a whole array of issues. The most important is overheating. There are some extraordinary jackets out there, which do a great job against the elements, but they will have you sweating as if you are wearing it in the desert. Built-up sweat is not just unpleasant, but if the temperatures are especially low, you are putting yourself at risk. When it comes to those who practice sports, we would advise against a fully waterproof jacket, unless it comes with highly breathable technology such as Windstopper or Gore-Tex. 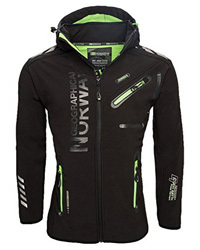 A fully waterproof jacket, though, is necessary for those that enjoy skiing and snowboarding. Water-resistant jackets are usually made of fabrics that have some resistance against small amounts of water, such as Nylon or that are difficult to wet, such as Polyester. These fabrics are then lightly coated with different substances, which form a protective layer that will increase endurance against light rainfall or damp conditions. Water-resistant jackets are typically lightweight and breathable. They are best suited for dry conditions, with the occasional raining and are preferred for spring and early autumn. Usually they come with either critically sealed seams or stitched seams. High-end products will almost always have fully taped or welded seams, to help against rain. Sports-wise, these make great jackets, especially Soft shells, which are designed for maximum breathability and comfort in movement. This is a common misconception when it comes to these two types of water-resistant fabrics and understandably so. People often use these terms interchangeably, but there is in fact a difference. While a “Water-repellent jacket” is water-resistant, a “Water-resistant jacket” is not water-repellent. What does this mean? Simply put, the term “water-repellent” means exactly that, the ability to repel water. While water-resistant jackets do just that, resist water for a certain amount of time, water-repellent jackets usually “wash off” the water drops that fall on it. They slide off the jacket and cannot stay on it. This is due to the outer coating being hydrophobic. Water-repellent jackets are usually made of the same fabric a water-resistant jacket is made of, but they differ in the outer coating. Commonly, nanotechnology coating is used to make a jacket able to repel water. Two of the most popular are Gore-Tex, as mentioned previously, and DWR (durable water repellent). They create a film coating, which increases the jacket’s ability to withstand wetter conditions, not just in quantity of rainfall, but also in duration. Some Soft shells and more breathable Hard shells usually fall in the water-repellent category. Well, that’s all there is. While it may seem a bit confusing, we are hopeful that this article has made it easier to understand what to look for not just in regard to water-resistance but overall, in a quality jacket. Some sources that helped us create this article: mountainwarehouse.com, sierratradingpost.com.